We'd love to get to know you better and help you get connected to our community. If you're visiting us on a Sunday, please take a moment to fill out a connect card during one of our services. Fill out a connect card below and our welcoming team will reach out to you shortly. Our Sunday service is from 9:30am-10:45am and is held in the Ferryway Elementary School Auditorium (150 Cross St, Malden MA 02148). Parking is on the Walnut Street side. During the week, programming such as Small Groups and English Conversation classes are held in various locations in Malden. For general inquiries or questions about a specific ministry, email info@highrockmalden.org or call (781) 627-5177. Our pastoral staff can be reached directly via our Staff Directory or by calling (781) 627-5177. Many of our pastoral and ministry staff observe their Sabbath (day off) on Thursdays or Fridays. Our mailing address is 14 Mill Street, Arlington, MA 02476. 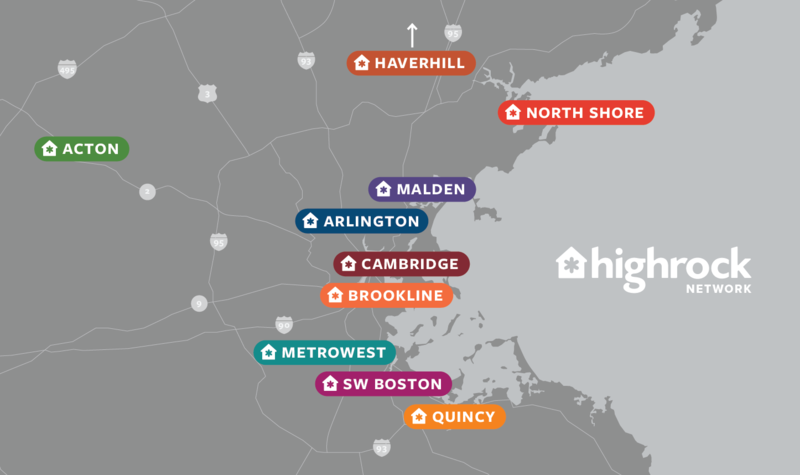 Highrock Malden is a part of a greater community of churches. Larn about the Highrock Network and other churches in our community.